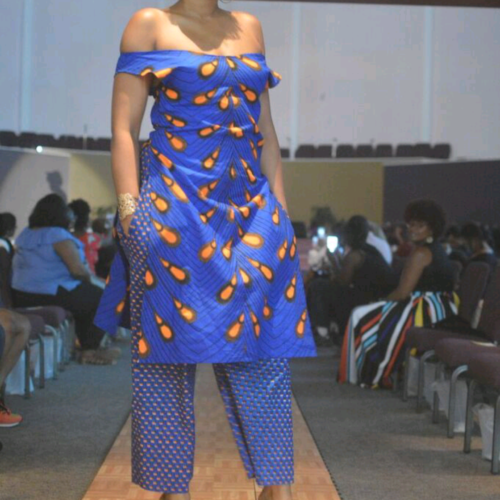 The fashions and designs of Yolanda Young. (Photos by: Lawrence Shelton, Dynasty/Majesty Production and Amanda Barnes, a student at Virginia Union University). Q: When did you find opportunity or did opportunity come to you? YY: I really feel like the opportunities came to me. I have been sewing since I was eight years old. My parents opened up a fabric store, and at the time that they opened the store, there was a big push for Afro-centric items. 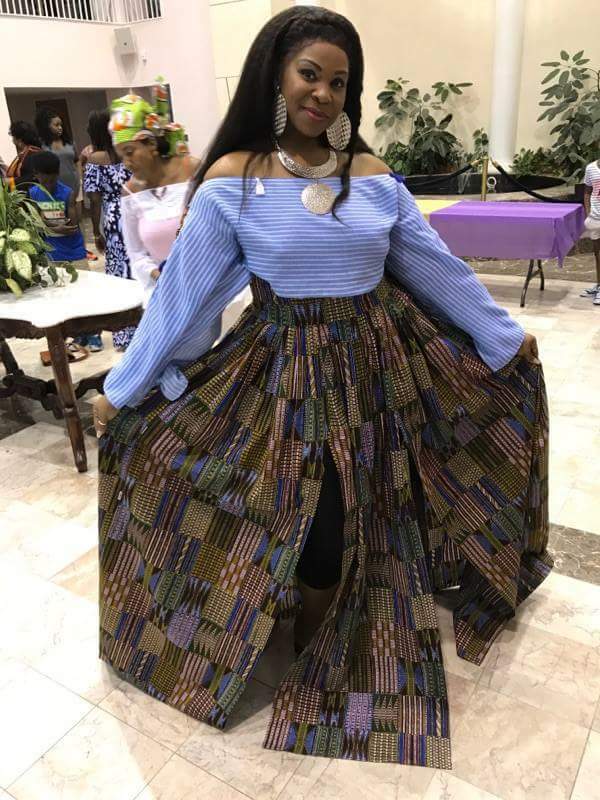 We had African prints in the store, and someone taught my mother how to make a dashiki, so then my sister and I learned how to make dashikis. I also did embroidery. A lot of people were embroidering peace signs into their pants, so I also did that, and I would sew creases into peoples’ pants (there was a time when people wanted creases in their pants). I have been working with sewing and clothing all along. About three years ago when my dad passed, I felt a need to open a business because he and my mom had their own business. I wanted to do something that I actually liked. Q: What do you find is a universal antidote when life gets you down? YY: My antidote comes down to sorting out what I have and don’t have and what gives me joy and what doesn’t give me joy. Sometimes just blasting music helps. I’m an eclectic person, so I can go from Spanish, classical guitar to gospel to Stevie Wonder to Eric Clapton to opera to show tunes. It can be anything that captures my ear. The playlist on my phone is so crazy because I like everything. Then, I think about people I love. I think about my daughter and my son, and I think about who I can help. Q: Who do you envision when you are designing your clothes? YY: I envision every woman. I see all women. I would dress models if they asked me to, and I also envision women who don’t have the ‘ideal’ shape. 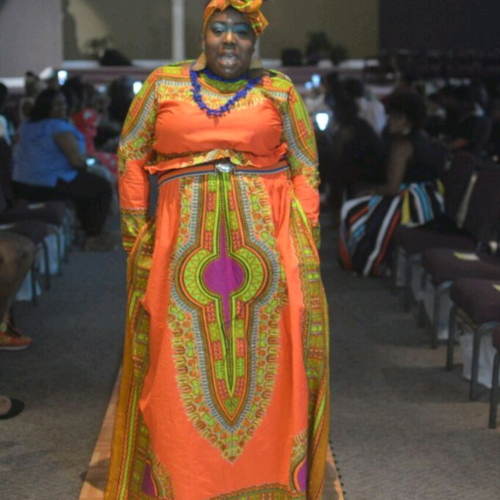 Specifically, I like to design for plus size women. If you go into a clothing store that has racks of clothing you look at a size 4 and it has a beautiful shape. By the time you get to size 14, it looks horrible. There’s no definition. No curves. Nothing. I want all women to have beautiful shaped clothing. Q: What’s the worst fashion trend that you loved? YY: Vinyl clothes. In the 70s people were wearing vinyl mini skirts, hot pants, and jackets. I absolutely loved and adored it, but it was not practical. My father even stocked vinyl fabric in the store, and I made clothes out of it, but after two wears, it looked horrible. What can I say? I’m a sucker for patent leather. Patent leather, shoes, shorts, skirts, dresses. After that trend, I went into the ‘Annie Hall look.’ I would wear long shirts and then go to vintage stores and buy vintage wool jackets. I’d buy hats to match and coordinate it all together. So I went from vinyl to Annie Hall [laughing]. Q: Where do you dream about living but never actually want to move to? YY: I want to live in Spain. But in reality, I want to visit it. And I want to go to Spain to see Flamenco dancing in its raw, authentic version–not the kind that everyone does for the tourist. I have this vision where people are hanging out at the local bar–there is smoke and drinks everywhere–and then the Flamenco dancers just start dancing. They’re trying to outdo each other, and I’m there. [Laughing]. That’s what is in my mind. I’m sure that place exists, I just have to find it. 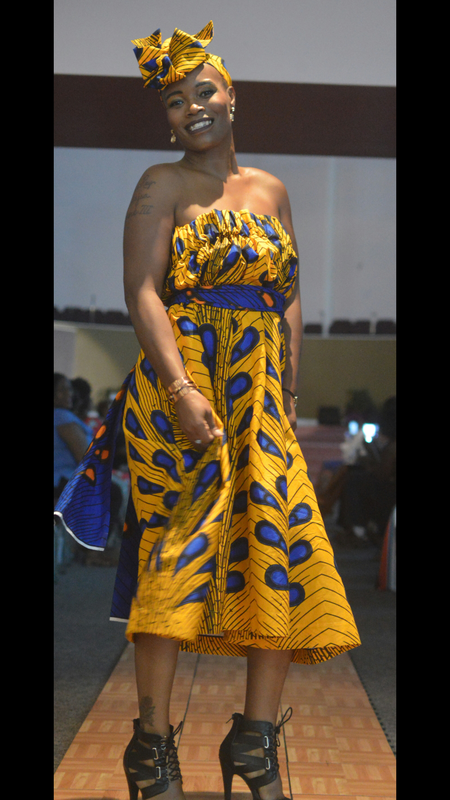 Yolanda Young’s fashion show, “This is Us” will take place on Saturday, August 18 at 7:00 PM. 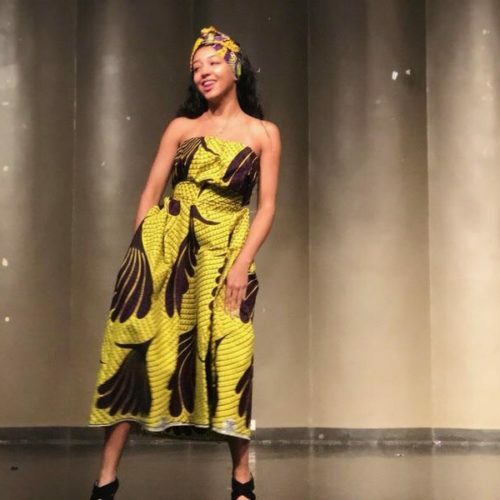 The fashion show will be held at 1268 West 38th Street, Norfolk, VA, and it will feature designers Yolanda Young and Sarah Malenda. To learn more about Yolanda as well as her work, you can follow her on Instagram.